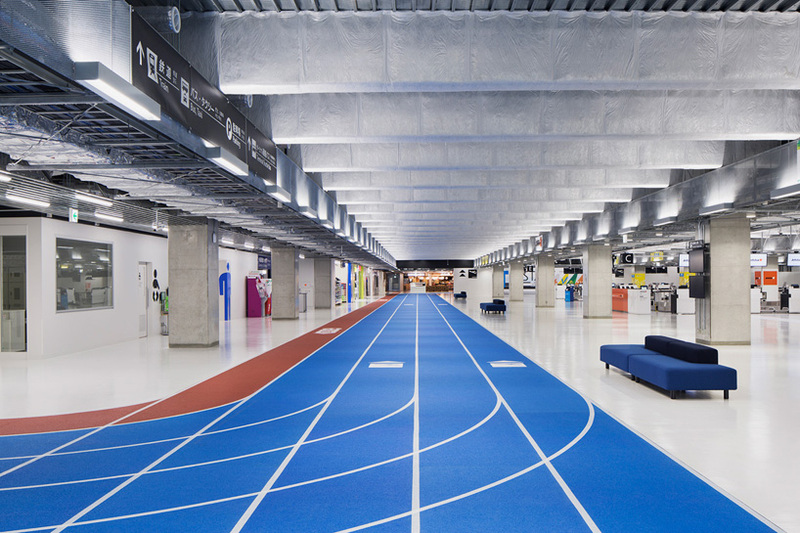 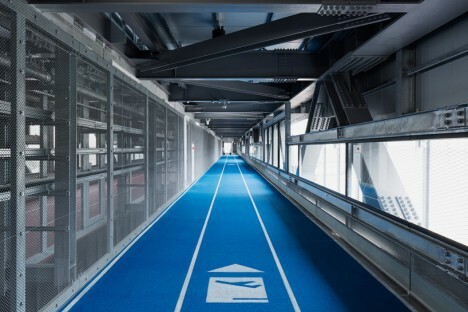 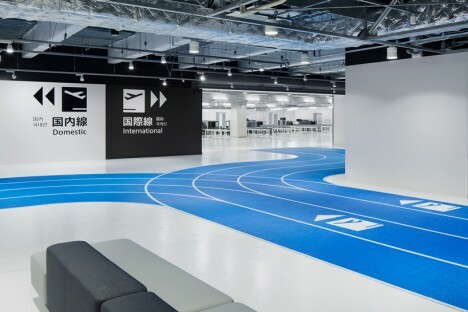 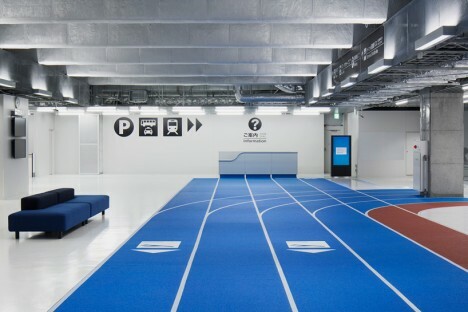 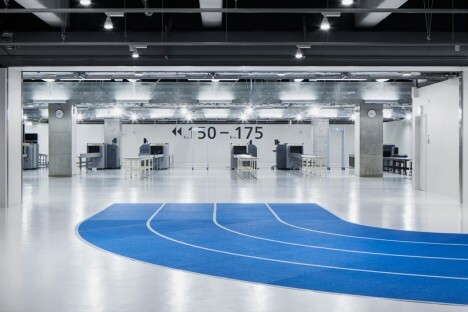 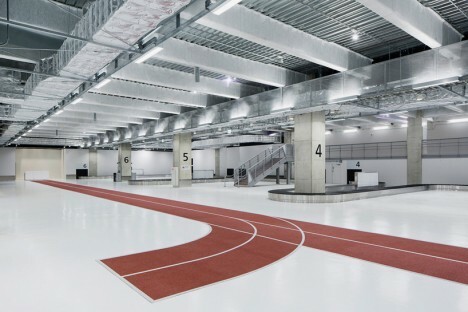 Combining a novel form of wayfinding with a nod to the upcoming 2020 Olympic Games in Tokyo, this new airport terminal trades moving walkways for a color-coded circuit of racetrack paths (or runways, if you will). 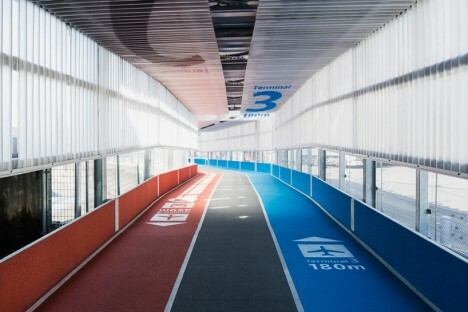 Blue leads to departures and red takes people to arrivals – a simple scheme but easily visible when set against the more monotone surrounding interiors. 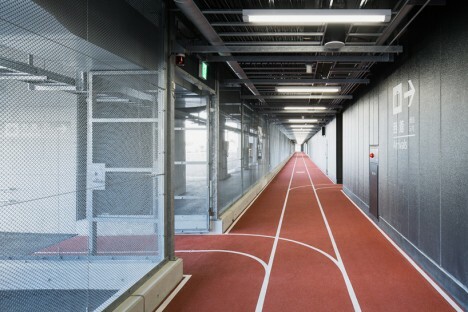 The collaborative project featured contributions by PARTY with consultants from Nikken (photography by Kenta Hasegawa).